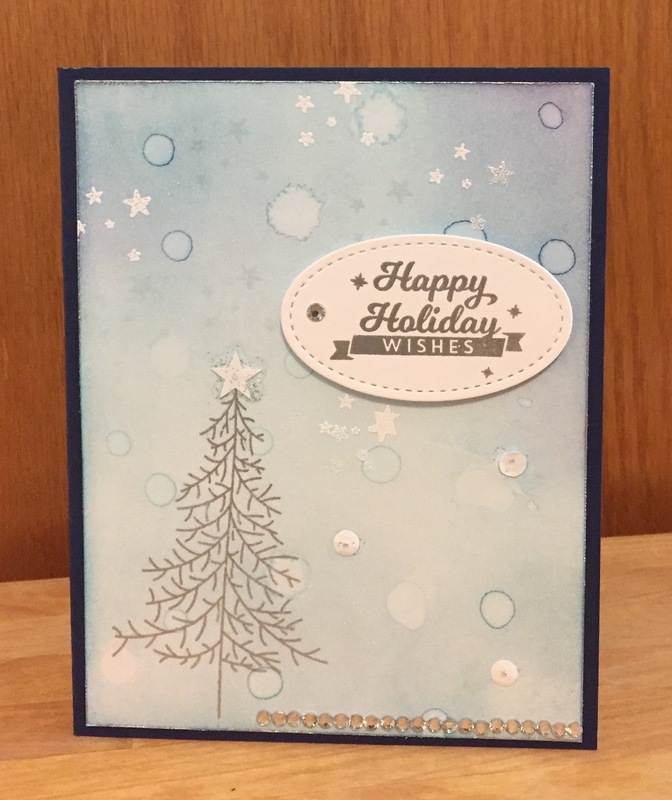 I am really enjoying the Merry Making class from Online Card Classes. The first day covered holiday backgrounds, and I had fun playing with some older supplies that I had not used in a while. These cards ended up focusing on embossing. The heat tool was one of my first purchases from Stamping' Up! in 2008, but I had not been heat embossing on my recent cards. 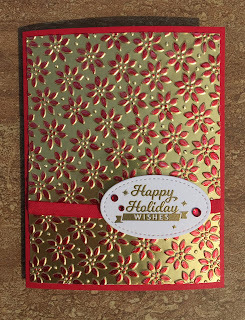 I did lots of heat embossing on the first card and am happy with the results using a variety of supplies that I already own. 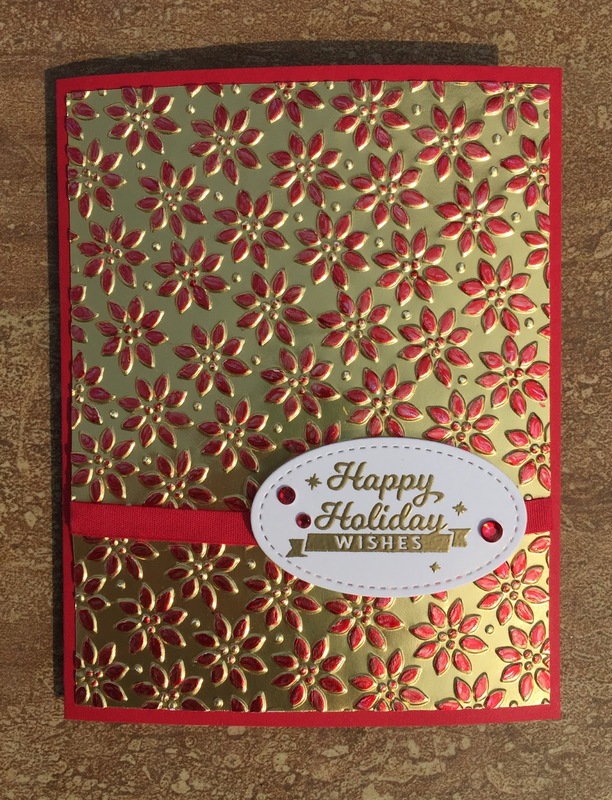 For the second card, I used one of my older embossing folders and colored the poinsettias with a red Copic marker. Labels: cards, Online Card Classes, Stampin' Up!